TravelVision: Happy 100th Birthday, Fort Lauderdale! 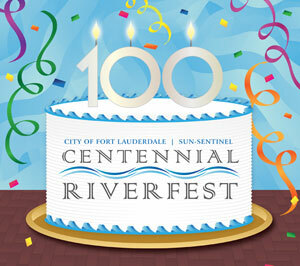 Happy 100th Birthday, Fort Lauderdale! 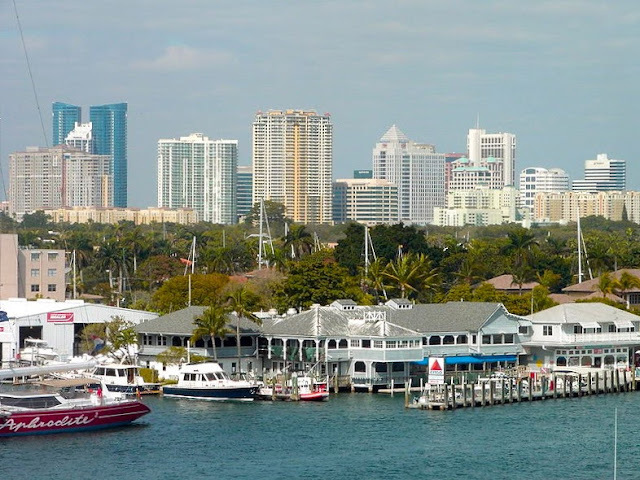 Fort Lauderdale, my birthplace, is celebrating its 100th year and throughout the next few posts I'll tell you about great places to stay, great places to eat and things to do while there. I'll even give you a glimpse of what it must have been like to be there 100 years ago. No place I've ever been feels as much like home as Fort Lauderdale and although I no longer live there I love to visit. A modern city with a major shipping port (home to many cruise lines) Fort Lauderdale is a hugely popular destination and has even been the backdrop for several films. 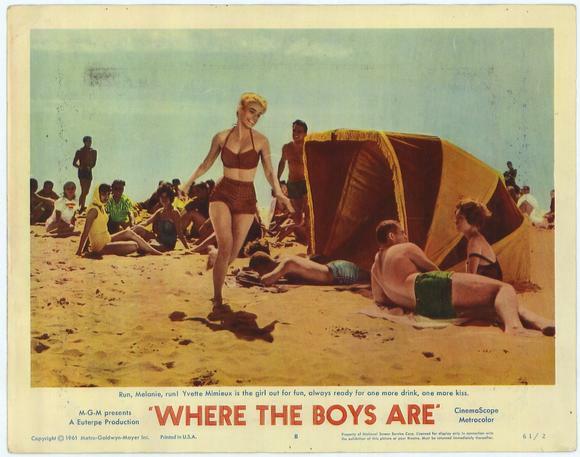 'Where the Boys Are' the film that spurred decades of spring break fever, 'Caddy Shack' and 'Cape Fear' are the most memorable. Fort Lauderdale is part of the urban sprawl that supports nearly 5 1/2 million people and its growth has been veracious. Fortunately, in this native's opinion, in spite of the need to accommodate enormous development it has not lost its character. Fort Lauderdale has done remarkably well in blending old and new. It all started with new world exploration and a new river. Discovered by Spanish explorers in the 1600s Rio Nuevo, the New River, was one of the first rivers in the new world to appear on world maps (pretty cool), but being first wasn't enough to jump start settlement. Harsh conditions and lack of transportation made it mostly inhospitable. 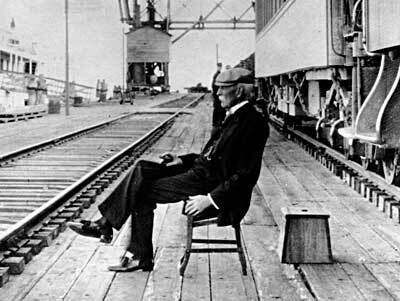 It wasn't until Henry Flagler's railway came through town that Fort Lauderdale began to develop. Prior to its arrival transportation had been mostly by waterway or over rugged terrain by stagecoach. With Frank Stranahan's arrival (1892) establishing a ferry crossing, camp and trading post (a downtown landmark today) and Flagler's railway arrival (1895) things began to move. Still in 1900 record's report only 52 residence, but over the next 11 years a hotel, a school, a bank, an electric ice plant and two newspapers were also established. 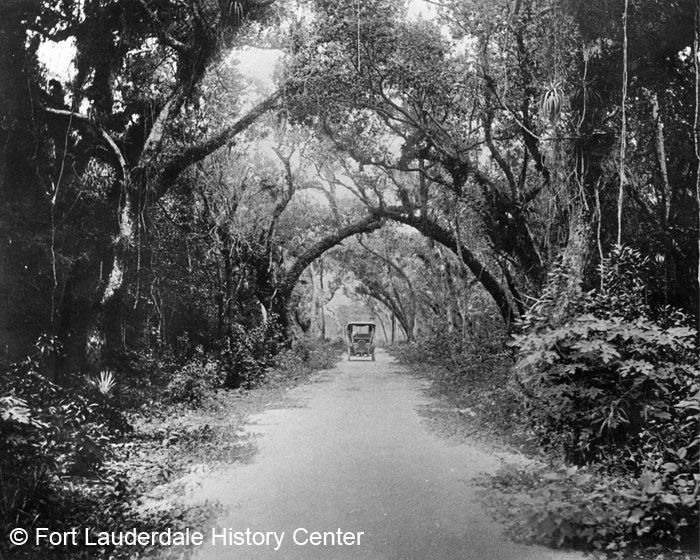 Named for the forts built along the New River during the Seminole War the city of Fort Lauderdale was born. Earliest photo's - Las Olas Blvd. In just one hundred years it went from a town of 52 people to one of the most popular destinations in the world. Visited by nearly 10 million people a year and offering every conceivable cuisine from the all American hotdog (best served by Hot Dog Heaven on Sunrise Blvd.) to the finest international cuisine. There are somewhere in the neighborhood of 4000 restaurants to choose from, shopping galore (Las Olas Blvd. one of America's iconic shopping districts), numerous wonderful hotels (the historic Riverside Hotel - the perfect location) and multitude of activities and attractions. There is well preserved history displayed in its museums and mixed in with the modern art and architecture of its streets. There are parks and gardens aplenty but its most memorable natural paradise is the ocean. Dive trips and fishing trips abound but the easiest way to explore its splendor is right off the beach with a mask and a snorkel. There are miles of inland and surrounding waterway here that led to its claimed title “Venice of America”. Home to waterfront dining, marinas and mega yachts, Fort Lauderdale can also be viewed by an all day pass on the Water Taxi. The water taxis stops at almost every waterfront restaurant and bar and the pass gets you access all day for $20 per adult, $12 per child and $16 per senior. Fort Lauderdale - Home, sweet home and then some! Great city to visit. Lots of things to do. Great restaurants!